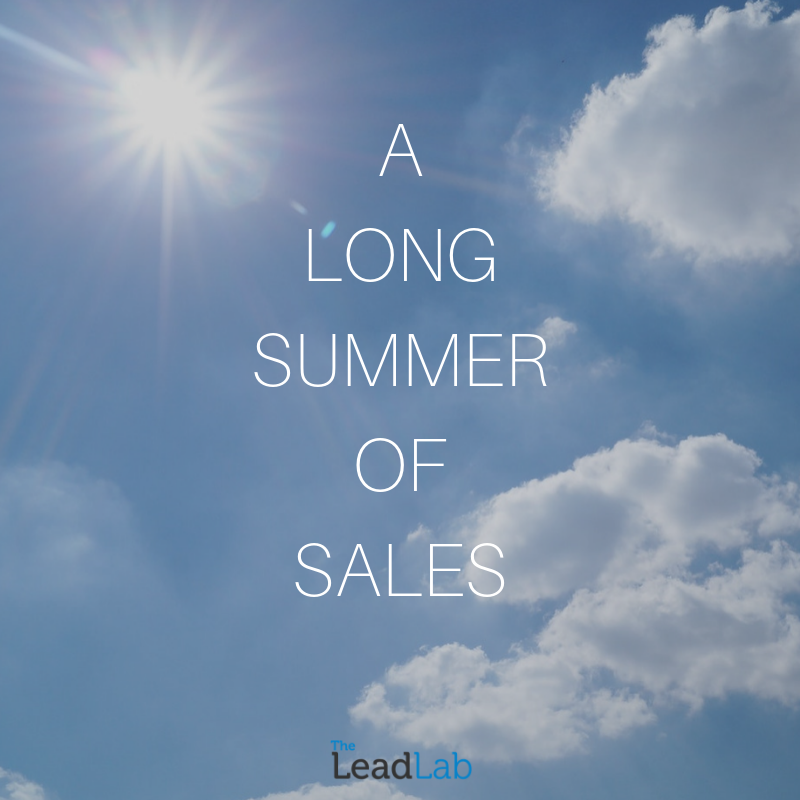 Aside from the natural increase in everyone’s mood when the sun makes an appearance, we’ve had our best summer yet for sales, which has rocketed our business growth. In past years, we’ve always experienced a lull in the summertime, due to the fact that most senior decision-makers are out of the office at various times in the season, therefore making contact rates difficult to maintain. Due to this difficulty in communication, June – August have always been our worst months, and until now, we have always accepted that. We looked back at the previous patterns of highs and lows and decided to do something about it. We ramped up our marketing and created a specific strategy to try and increase our brand awareness and emphasise our existence at a time where the contact rate was the lowest. From doing this, we found that we had built up a pipeline of interested prospects that we could speak to at a time that suited them best. By making changes to our usual marketing plan and trying new channels, our whole sales pattern changed, which has shone a huge light on how significant marketing is for any company’s growth. This is the message we try to convey when speaking to prospects about lead generation; regardless of pre-determined opinions, it’s important to try new avenues and channels as one may be the catalyst to success. When prospects are considering using telemarketing and lead generation, we urge them to think long-term. Our ultimate goal is to become a part of their ongoing marketing strategy, and to do that we need to provide good results. This consequently means that the only way we profit is if the client rebooks, and if they rebook, it usually means they are happy with the results produced from the campaign. This gives our customers solace as they know that in order for us to be successful, we need our clients to be successful. Due to the incredible weather we’ve had, we have been able to do a lot more team activities. We’ve had barbeques in the sun over lunchtime, end of week meetings in beer gardens and sports day socials. As a company, we feel like this has really boosted morale and raised spirits within the office, which has shown in our results. For us, creating an environment that’s enjoyable to work in has always reflected in the success of the business. If you’re looking for a new marketing channel to increase sales and boost business growth, get in touch on 0333 207 0540.